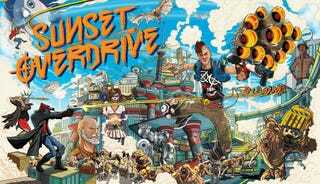 Xbox One TAYers, join me tonight at 9:00 PM EDT for TAY Game Night in Sunset Overdrive! My gamertag is Brett1157 if you haven’t added me yet. I will try to be online a bit early. Last month, we didn’t have enough people show up, but hopefully this time we will have a decent turnout.